Please join us for your favorite game of Bingo! $30 per person in advance. $40 donation at the door. This includes 10 games of bingo and 50/50 raffle. 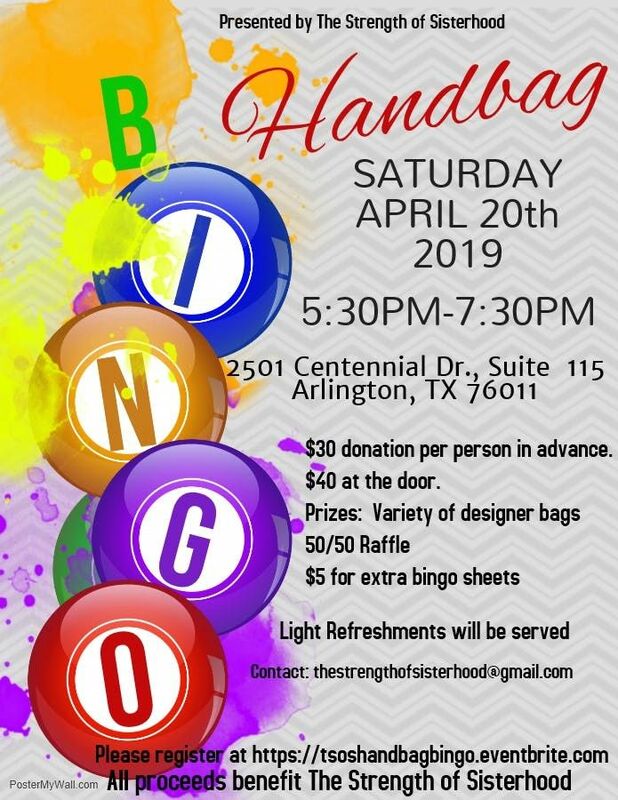 Prizes: Variety of your favorite handbags. 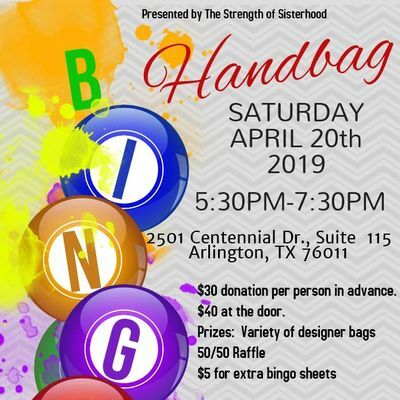 All proceeds benefit the The Strength of Sisterhood. We specialize in educating, empowering, and providing resources to single mothers and divorced women. You may donate any amount to the organization.